With the new NSW Science and Technology Curriculum being implemented in 2019, it is a great time to learn about coding and computational thinking, and how to teach these 21st Century skills. This is a guide to coding in the classroom for teachers of Primary school students using easy-to-use iPad apps that develop programming and coding skills with activities that include problem-solving, sequencing, designing, mathematical and computational skills and simple code presented in fun and interactive ways that engage young students. Apps include puzzle and game style apps that develop critical thinking skills, computational thinking and logic, and apps that use visual blocks for coding, allowing students to create simple games. Coding can be linked to so many curriculum areas beyond the obvious Mathematics and Science. You will have the opportunity to see robotics such as Sphero, Dash and Dot, and more in action and see how you could use it in your classes to make learning fun. 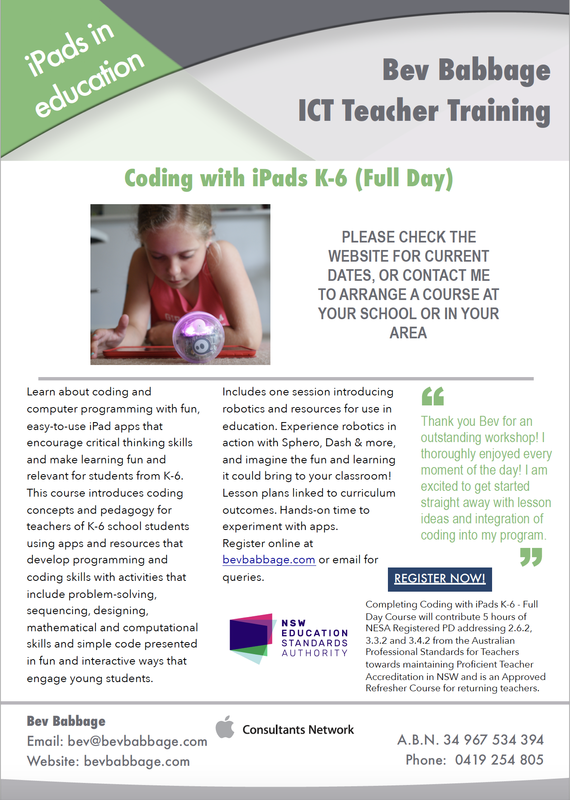 This is a full day course enabling teachers to see the opportunities of Coding with iPads in K-6 and have hands-on time to explore apps and lesson ideas. There is also a short 2 hour after-school course here. 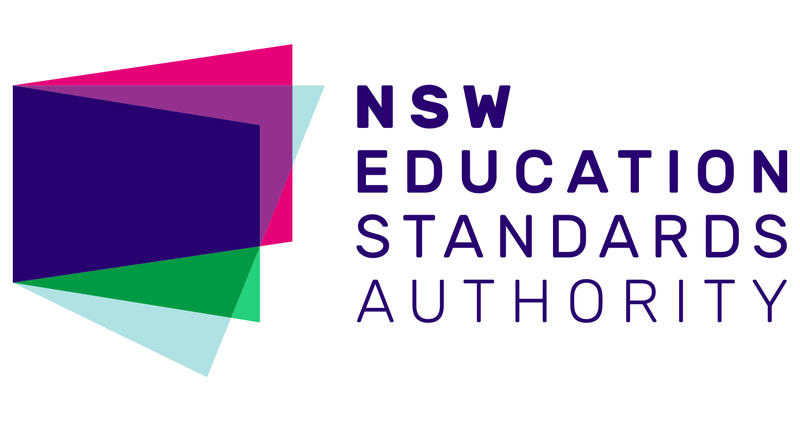 Completing Coding with iPads K-6 – Full Day Course will contribute 5 hours of NESA Registered PD addressing 2.6.2, 3.3.2 and 3.4.2 from the Australian Professional Standards for Teachers towards maintaining Proficient Teacher Accreditation in NSW. From $260 per person (GST exempt), depending on travel required. If your school prefers to pay by cheque, I can send an invoice. An iPad with wifi capabilities, preferably with the most recent IOS update. You will be sent a list of suggested apps to install after you have registered. You may also like to bring a laptop for some of the web resources. This not an introduction to the iPad, but an introduction to coding and is suitable for teachers that are beginners to the concept of computer programming. You will get take home digital resources to refer to when you need them. Some of the lesson ideas come with demonstration videos that take you through the process step-by-step. It also includes more advanced techniques for those who want more of a challenge.